Linda is the Personal Assistant to our Ms Peggy Yee. She also assists in the administration of all conveyancing and estate files. Linda is now a skilled multi-tasker. Linda’s strong faith has kept her motivated to do well in all matters entrusted to her. She is also dedicated to maintaining the well-being of all members of PY Legal. Koh is the firm’s Office Manager, seeing to the administration and the smooth running of PY Legal LLC. In addition, Koh also assists in the service of court documents and the filing of conveyancing documents. Koh’s zen and calm disposition forms an integral part of our firm. 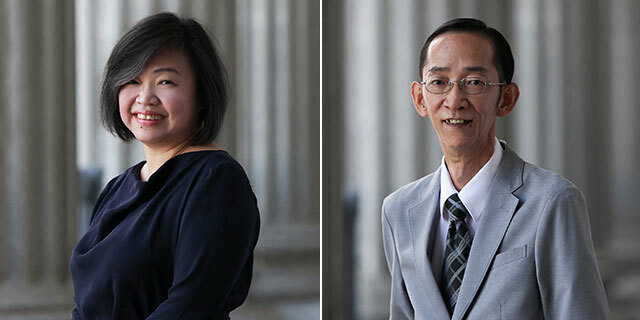 Both Linda and Koh, in addition to their extensive experience in the legal industry, have attained paralegal clerk status.